The title and white packaging may indicate a move towards simplicity and group harmony. There was certainly a move away from the psychedelia of 1967, but in about 30 different directions. We got the softest side of the Beatles (Goodnight, Honey Pie) at the same time as the hardest (Helter Skelter, Yer Blues), the weirdest (Revolution 9) alongside straightforward rock and pop. It’s unlikely you will love all 30 tracks, or even want to listen to some of them again, but it’s also very possible that some of your favorite Beatles songs, if not your favorite songs of all time, are part of this album. And now the White Album is exactly 50 years old, and tearing up the charts again,courtesy of a comprehensive 50 year anniversary release, showcasing the legendary Esher demos plus a lot more on the deluxe editions. The Esher demos demonstrate that John, Paul and George were not short of inspiration after Rishikesh. George, in particular, was starting entering his composing high-point, where one song per side of a Beatles record would not accommodate his brilliant creativity –Long Long Long is probably my favorite “unknown” Beatles song. 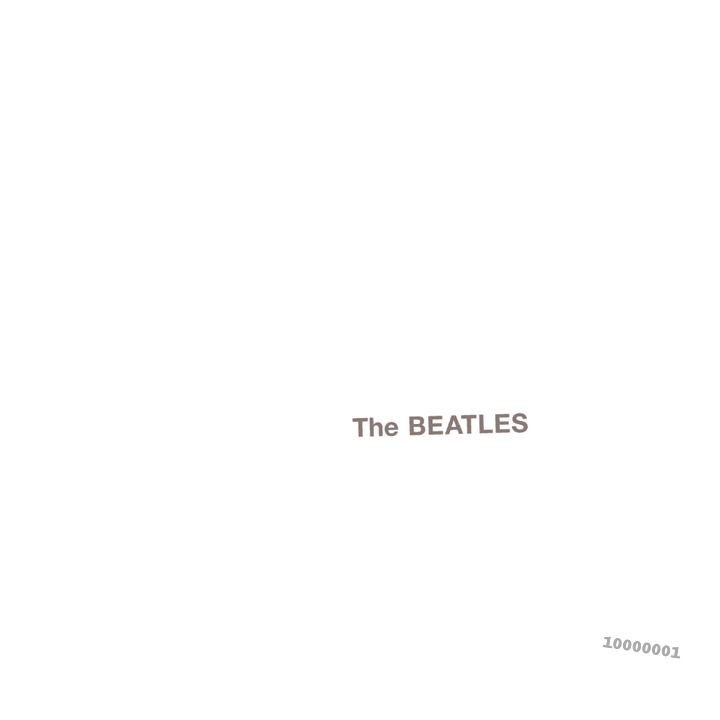 Indeed, the White Album sessions in retrospect indicated the beginning of the end for the Beatles as a group, and the white color is pretty much the only unifying theme of the album. The brilliance is very much there, but there is a sense of disunity and division, which is very much a theme of our 2018 world. We can’t run away from this reality, but we can temporarily forget about it in the brilliance of this album, or at least the parts that reflect our own musical idyll. This entry was posted on Thursday, November 22nd, 2018 at 6:39 am	and is filed under Beatles, Record Reviews. You can follow any responses to this entry through the RSS 2.0 feed. You can skip to the end and leave a response. Pinging is currently not allowed.